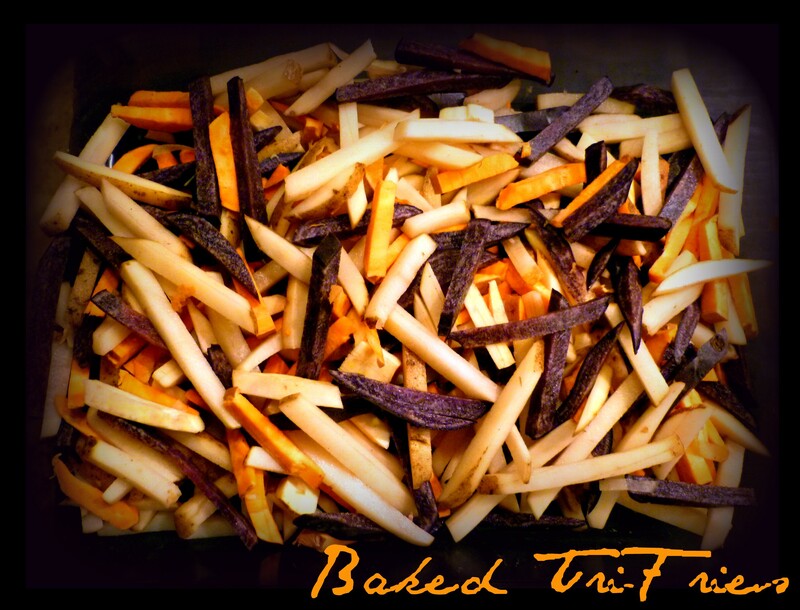 “When you’re in the mood for fries… but without the guilt! This is a delicious array of russet, purple and sweet potatoes for a nutritional storehouse! Wash and dry pototoes. Leave skin on and julienne (mandolins work great for this). Arrange potatoes in a 9×13 casserole dish and sprinkle on the rest of the ingredients. With a large spatula or spoon stir the spices and oil evenly through the potatoes. Bake at 400 for 45-60 minutes, flipping them over every 15 minutes until tender. For crispier fries, once they are cooked, broil for a few minutes, flip then broil some more watching carefully so as not burn.